Head to the Exchange Ruins and look out for a large pile of rubble in a squared off area. The chest is buried in the middle and must be lifted out with the Magnesis rune. 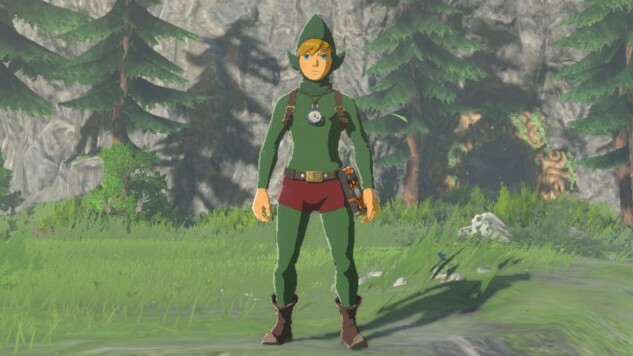 To find the shirt, head to Castle Town Prison, which is located west of Hyrule Castle. The chest can be found buried in the ground near the burnt wooden beams. Use the Magnesis rune to dig it out. “...and at the village ruins next to farmland where many people once gathered." To bag yourself some tights, head to the Mabe Village Ruins. The chest can be found hiding underneath the dead guardian nearby. Use the Magnesis rune to pull it out from underneath, and be sure to pick up the ancient springs that pour out of the guardian too..